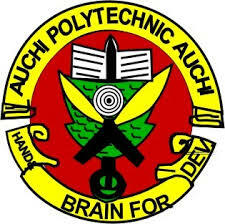 The Federal Polytechnic Auchi, AUCHIPOLY evening programme (SPAT) Admission list for the 2018/2019 academic session has just been released and published online. This is to inform the general public and more especially all the applicants who applied for admission into the National Diploma (ND) and Higher National Diploma (HND) of the Federal Polytechnic, Auchi School of Evening Studies (SES) that the 1st, 2nd and 3rd batch list of admitted candidates for the 2018/2019 academic session has been released. Click on ‘Check Admission List’ to see your admission details. The nigeriaschool team congratulates everyone whose names appeared on the Auchi Poly Spat Admission List for the 2018/2019 session.